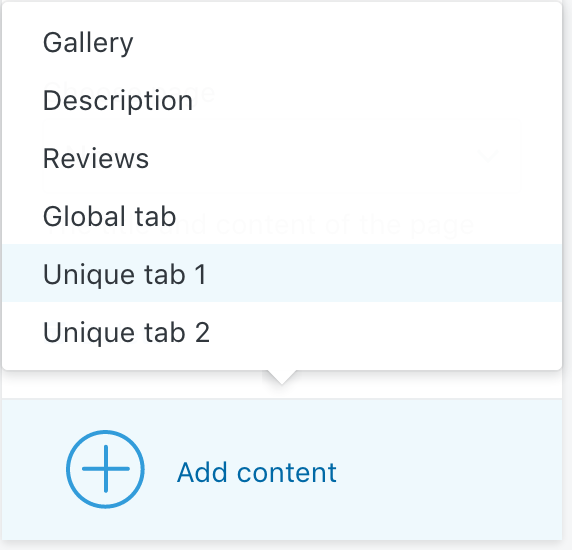 Our themes have two way to specify unique tabs per product. The first one is by using tabs and pages (instructions can be found here). It forces you to create a lot of pages. For instance, if you have 25 products who have distinct "instructions" tab, you may end up with 25 pages named "Instructions". It is hard to edit, and hard to maintain. Because those are created through pages, the pages can be indexed by Google separately (as their own page). If you have enabled global search, those pages will also appear in the search results, which is not desirable. To prevent this, we have developed a metafields application that can be used for a lot of different cases, and we have created native integrations between our themes and this app. Metafields are additional piece of data that are saved to your products (or articles, collections...) to add more information to your product, such as tabs. Let's do it! 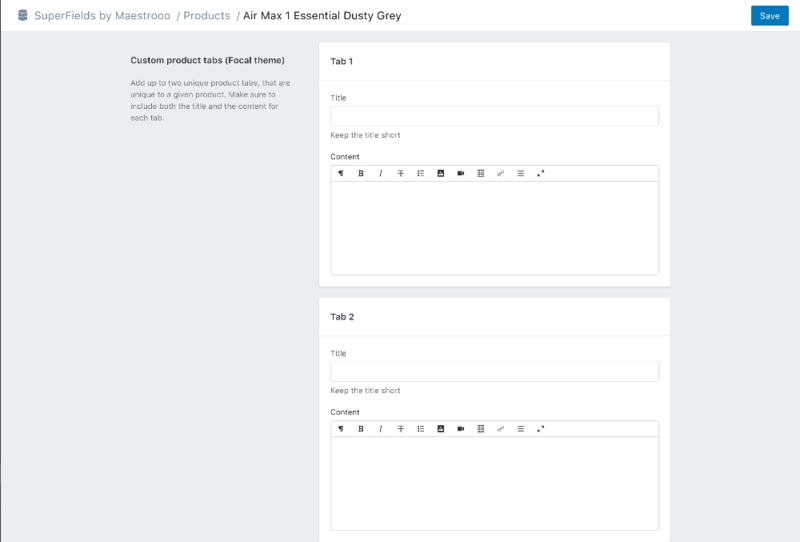 If you have previously followed those instructions to add unique tabs using the tag mechanism, you will need first to make sure that you have removed those special tags from your products. No more pages to create! Your data is now cleanly related to your product. The process is slightly different for our themes. If you add the "Unique tab 1", it will displays the page attached to the content defined in the Tab 1 in the app. Similarly, if you add the "Unique tab 2", it will displays the page defined in the Tab 2.